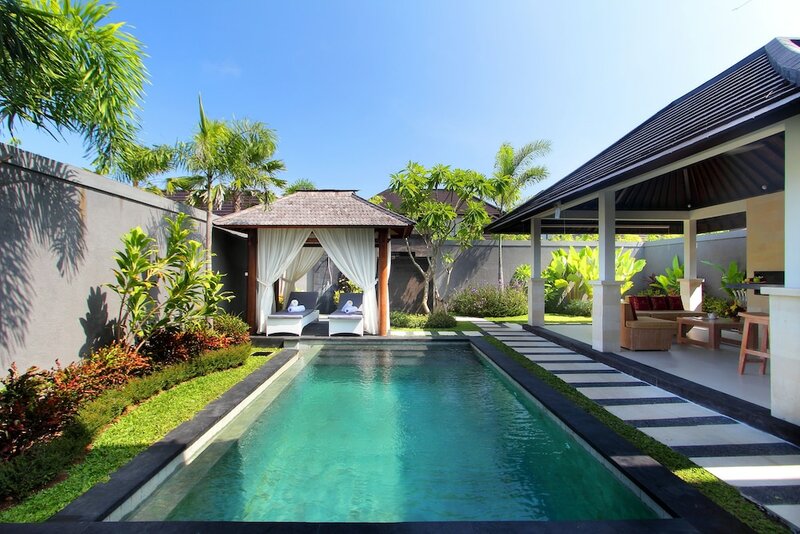 Hotels in Seminyak Beach offer great places to stay in Bali’s most upscale beach resort area, which is only 15 minutes north from the popular beaches of Kuta and Legian. Most are luxury resorts and five-star villas that make for a memorable stay, ideal for honeymooners and couples, with a complete range of services and facilities that will also appeal to foodies, spa-goers and beach lovers. Seminyak’s streets are lined with among Bali’s finest restaurants and nightlife entertainment venues, the likes of Ku De Ta and Potato Head Beach Club. Seminyak Beach hotels provide great retreats; most are beachfront hotels that provide direct access to the gorgeous sunset coast, and within walking distance to the main dining and chill-out spots of the area. They are also ideal sanctuaries to return to after a day out on the beach, and great bases from where to explore the multitude of boutique shopping, fine dining and lively nightlife that the fashionable Seminyak neighbourhood is best known for.